When and Where? – 5-7 July, Rocket Complex, 166-220 Holloway Rd, London N7 8DB. Full Info HERE. Highlights? – Click HERE to view. Note Friday is a preview day with half the event closed. Special Guests? Click HERE to view. How much? Discounted Online. Full Three Days £29 or from £9 a day. Full price Tickets also available on the door. Further Questions? Read the FAQ and/or Contact Us. 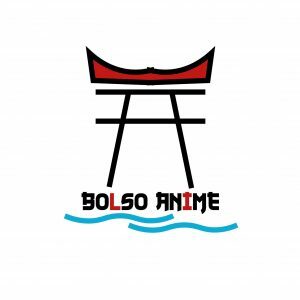 Make sure to get your tickets soon for the anime, gaming, cosplay and comic event of the summer! We have nearly 50 guests lined up. Ranging from Cosplayers, Performers, YouTube Stars, Voice Actors, Panelists and More. More to be Added Soon. .Brian Beacock is an actor, writer, producer and musician from the San Francisco Bay Area. 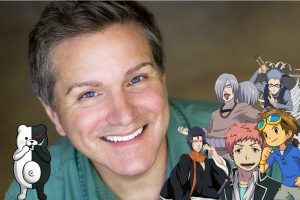 After completing the National Tour of “Les Miserables,” he moved to Los Angeles where he created a diverse career including; Voice-overs for more than 30 cartoon series and video games including “Digimon,” “Naruto,” “Bleach,” “Durarara,” Monokukma in the “Danganronpa” game seres, “Doreamon,” “Blue Exorcist,” “Bungo Stray Dogs,” “Code Geass,” “Blue Dragon,” “Battle B-Daman,” “Toradora,” “JoJo’s Bizarre Adventure”, “Tales of Symphonia,” “Dragon Ball Super,” “Sailor Moon” and more. The brothers Tommy and Ed recently moved to London and achieved their dream of headlining comedy clubs for a living. Their new dream is to have more fun and enjoy life. 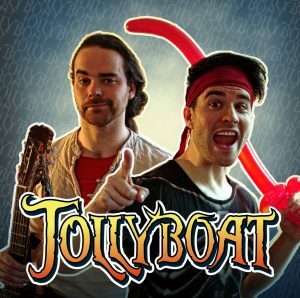 Mixing together comedy, live music, visuals, audience interaction and a little behind-the-scenes programming, Jollyboat put on a show that's not quite like anything you've seen before. They have songs about classic games, D&D, pirates and Game of Thrones. The last one's especially appropriate because Ed cosplays as Robb Stark. They're currently taking their new shows Nerdplay and Roleplay Cabaret to Edinburgh Fringe Festival, and absolutely smashing it! 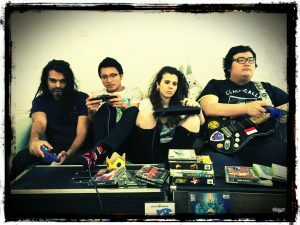 Press X are a 5 piece rock band with songs inspired by video games. It was formed when Dr Mobius finished Bioshock 2, and felt strongly compelled to write a song about Subject Delta and Eleanor. More songs soon followed, and he then sought other musicians to bring his compositions to life. Their music spans several sub-genres of rock, ranging from J-rock to Pop Punk, blending distorted guitars with 8-bit chiptunes. They are releasing their EP, Chomping Chains and Paper Planes at the LAGC this year. 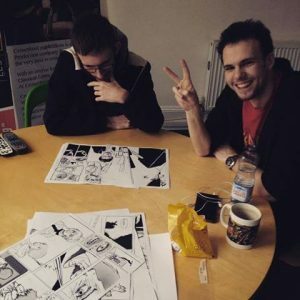 I'm a 21 year old cosplayer that started out 2014 from the east coast of England, Norfolk. Since then I have been competing & judging from locally to internationally. 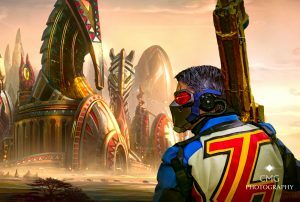 I've created costumes from Fallout, Marvel, Overwatch and a host of others. I enjoy making props, using 3D printing, metalworking and machining. I try to use a plethora of materials including: acrylic, worbla, metal and a variety of foam. I am mainly known for my Soldier 76 cosplay or as the Master of the ordinance. I spend most of my free time creating props & costumes. Feel free to hit me up if you need a hand or help with making something, I’m always willing to help.